Why not create the perfect Garden Room/Conservatory this spring just in time for those lazy summer evenings. Click HERE to watch this short video from Jane Akers, Managing Editor of Homes & Gardens, with her three step guide to a fresher looking Conservatory. Pastel and botanical patterns against a plain background bring a vibrant spring feel to your room, providing you with that light and natural feel. 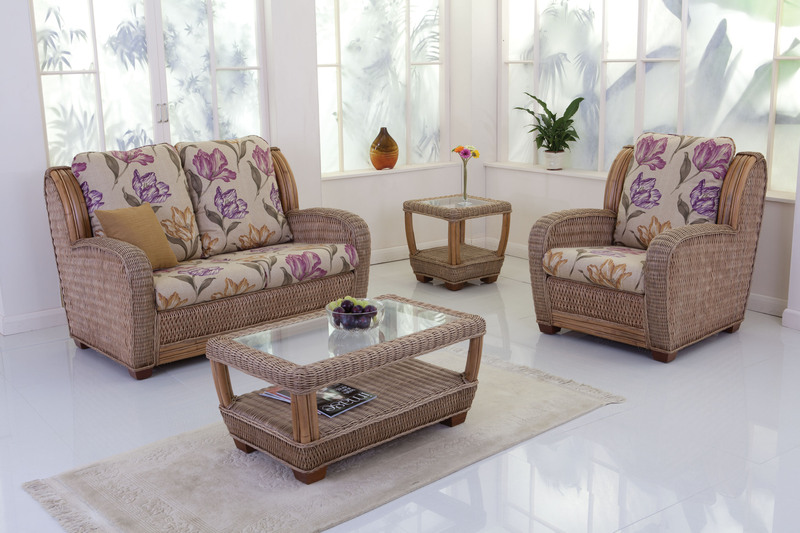 Cane Furniture is ideal for use inside and out. A strong material that can stand the test of time whilst practical stylish and comfortable. Your personality should stand out in this space with your own personal treasures and photos on display providing the depth for the room. Our NEW 2014 Range is available to view online, please check your local Stockist for Availability and Pricing.